As a main ingredient in breads and biscuits, and in sweet treats like marzipan balls, cake frostings or almond cookies, almond paste is a versatile condiment to have in your pantry. The natural ingredients used to make almond paste provide sweet flavor for your recipes, but also limit the shelf life of this baking confection. Almond paste is a key ingredient for marzipan desserts. 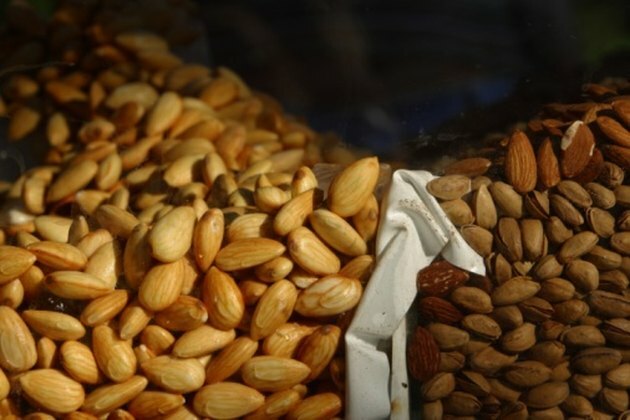 Fresh almonds are used to create almond paste. Homemade recipes using fresh ingredients are economical and easy to make right in your own kitchen. The ingredients include blanched almonds, sugar, almond extract and egg whites. In a food processor, combine the blanched almonds and sugar to make a fine powder. Slowly add almond extract and egg whites to the food processor until you have a smooth pasty consistency. A variation of the recipes include cooking a combination of sugar, almonds and water until it reaches a smooth consistency, with almond extract added for additional flavor. You can find commercially prepared almond paste in tubes or cans that can be stored in the refrigerator for up to a year. 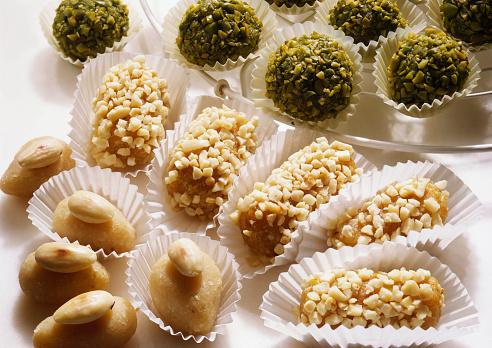 Packaging is particularly important to the shelf life of your homemade almond paste. Place the paste in a tightly sealed container or plastic bag for longer-lasting almond paste. The average shelf life for homemade almond paste stored at room temperature is one week. This is particularly helpful if you want to use the paste, for instance, in a cake covering such as marzipan as it is easier to shape and mold. For continuing use, store the homemade almond paste in the refrigerator for up to one month. 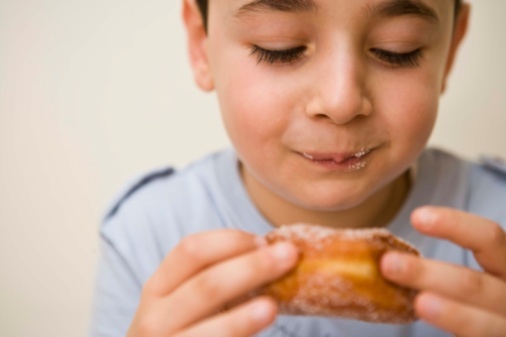 In order to make the cold almond paste more pliable, Ochef recommends kneading in corn syrup or rose water. While the shelf life of whole almonds averages 12 months if packaged tightly, almonds exposed to air and moisture, like those used to make almond paste, have a much shorter shelf life. Outside factors affect the shelf life of almonds, including exposure to air or moisture when the skin or shell is sliced or blanched. Oxygen reacts with the natural saturated fats in the almonds and increases the chances of mold development and rancidity. The USDA Food Safety and Inspection Service cautions against consuming raw eggs alone or in recipes, like some almond paste recipes, due to the chances of exposure to salmonella, a bacteria that causes food-borne illnesses. People with compromised or low immune systems are particularly susceptible to infection.